I first created the colorful background. Rainbow colors… Anyway, I can’t resist! LOL I sponged Distress inks over the panel and I spritzed water mixed with shimmer for more interest (unfortunately, you can't see the shimmer on this picture but it looks so beautiful). Once it was dry, I secured the panel to the craft area using removable tape and the Oscillations stencil (#25-014) on top. I then blended black ink over the stencil. Next, I stamped the butterflies. I heat embossed the sentiment with white embossing powder on a black strip that I adhered to the panel with foam pads. The sentiment is from the Snippets stamp set (#30-283). To finish off my card, I fixed the beautiful rainbow panel to a top-folded card base made from white cardstock. 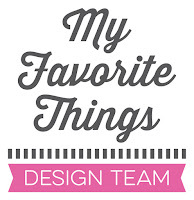 Don’t forget to check out the Penny Black Simplicity blog for more inspiration every week! What an Awesome colorful card ! Wow beautiful card, love those big bold butterflies! That's beautiful! I must try that! Beautiful card. Love that you used black ink with the stencil. I would never have thought that would work but I'm sure going to try it now. Thanks for sharing. Absolutely gorgeous card, Francine! 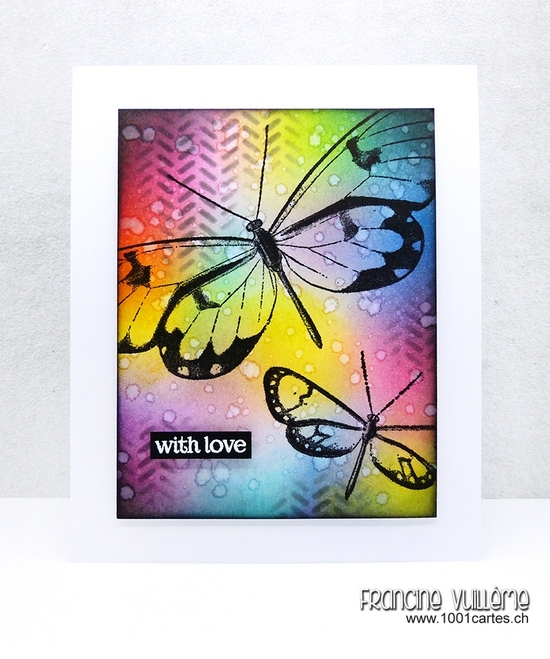 Your stenciling and blending is the perfect background for these stunning butterflies...WOW! Ahhh-mazing! So beautiful! Love the rainbow colors! Wow. It really pops. Beautiful color. Thank you for sharing. Beautiful!!!! The colors are very striking. So beautiful! Love the vibrant colors and the bit of stenciling in the background. TFS.